The results from Week 8 of the Summer Months competition are online now, as are the finals fixtures. They are accessible via the Fixtures/Tables link at the top of this page. The results from Week 7 of the Summer Months competition are online now, as are the semi finals fixtures for those competitions that contain eight teams (remember, all teams are still playing). They are accessible via the Fixtures/Tables link at the top of this page. The results from Week 6 of the Summer Months competition are online now. They are accessible via the Fixtures/Tables link at the top of this page. The results from Week 5 of the Summer Months competition are online now, as are the next three week’s fixtures for those competitions that contain six teams who were awaiting the next stage of their fixtures to be published.. They are accessible via the Fixtures/Tables link at the top of this page. The results from Week 4 of the Summer Months competition are online now. They are accessible via the Fixtures/Tables link at the top of this page. The results from Week 3 of the Summer Months competition are online now. They are accessible via the Fixtures/Tables link at the top of this page. Effective 30th January, registrations are closed and it is no longer possible to register to play in the current 2019 Summer Months competition. The results from Week 2 of the Summer Months competition are online now. They are accessible via the Fixtures/Tables link at the top of this page. The results from Week 1 of the Summer Months competition are online now. They are accessible via the Fixtures/Tables link at the top of this page. The organising is all-but complete for the Summer Months competition kicking off at David Thomas Reserve on Monday 21st January. Effective 15th January we ceased accepting any new teams to the competition. The fixtures for the Summer Months competition kicking off at David Thomas Reserve on Monday 21st January are online now. They are accessible via the Fixtures/Tables link at the top of this page. The Spring 2018 season concluded this past week. We hope everyone enjoyed it as much as we enjoyed making it possible for you. I would particularly like to thank everyone for your patience and confidence (in my ability to get all the games that were postponed due to terrible weather) ... it was a HUGE challenge this year but we got there in the end! To everyone that’s been involved in the Spring 2018 season (our biggest ever) and particularly to all the Team Managers and the Referees, thank you. And thank you, too, to all the players who played fair and played for the fun of it all. On behalf of FootballSSG, we hope everyone has a great Christmas and a fun and safe New Year. And we hope to see lots of you involved in our Summer Competition, kicking off in late January. Playing 5-a-side or 6-a-side soccer football is a brilliant way to keep fit and have fun. Importantly for those who wish to improve their playing ability, it helps to improve technical skills such as ball control, short passing and dribbling. And it helps to improve tactical skills such as using space, passing and moving and playing a through ball. By playing FootballSSG you will notice the difference in your playing ability when the next winter season comes around ! PLUS we provide free uniforms (that the players get to keep), match balls, referees, official time-keepers, player insurance and training and coaching advice for anyone that wants it. ... all you need to do is organise your team, turn up and have fun! By the way ... WE HAVE ALWAYS PROVIDED ALL THESE THINGS ... and the absolute best organisation of a football competition that you will experience. The whole organisation and running of the competition was excellent. This is our 2nd year playing and I know all of the boys have said they will be playing again next year. Thanks for such a great season. So well organised. You've done a brilliant job. Thanks again. This was my first season not just watching the kids play SSG, but getting to enjoy SSG myself. I had a fantastic time. Communication, refs, fields etc were all wonderful. I have been recommending to friends that they consider playing SSG next season. Thank you so much for organising this. It was the highlight of my week. My daughter has been involved in SSG for three seasons, starting as an 8 year old. In the three years I have coached the feedback I receive from both players and parents is that they like SSG because it is high scoring and there are many more opportunities to improve your skills as you have so many touches of the ball. We'd play it all year round if the option was there! Very happy with the quality of the fields, refs, and even most the other players! We came last in our comp with style, the most important thing is we had fun doing it. I've played in four different summer comps but SSG is the first to always start on time, have a ground that can cope with heavy rain, and offer longer game times. This was an extremely well organised competition. The kids loved every minute of it. It appealed to them because they played in a real stadium, with refs, real goals, etc. It just made them feel part of a real competition. Excellent. Really well run, and glad there is a comp like this on the Beaches. This is a competition that offers a good development platform for kids, as well as a fun and focussed addition to the weekly calendar. Very well organised competition on an excellent playing surface. I will certainly be introducing my two kids to the event when they are old enough to participate. I was very pleased with the no-contact ruling as this tends to stop any nastiness from creeping into the games. It is so much more enjoyable when the game feels fair and is played in good spirit. The referees did a fantastic job. 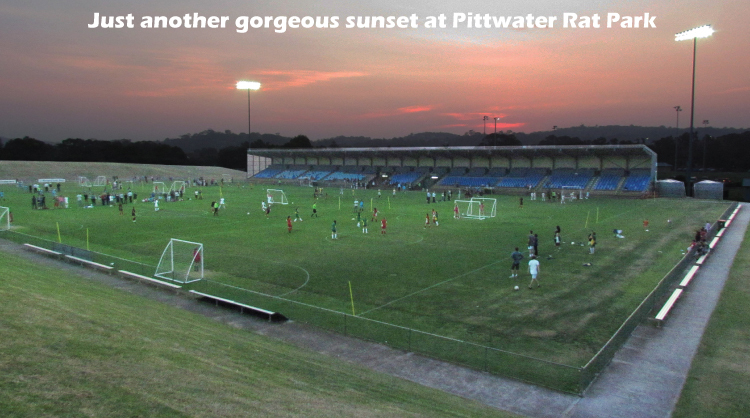 Rat Park is a great venue. The surface is fantastic to play on (even in the wet) and the field management / rotation was very well done. Love the format, love the game length and a playing at Rat park is awesome. Great casual, competitive soccer, played in the right spirit. I'll be playing next year for sure. It was a pleasure to be involved with Football SSG again this year. This was the 3rd season my son has played with you, and I think it improves every year. Everything is so efficient and organised - from your regular communication, to the uniforms and games. From a managers point of view, it is so easy to be involved. One thing I noticed this year was the fact that parents were allowed on the sidelines (in previous years parents have had to watch from outside the fence). This was fabulous and made the game much more exciting and fun for both the parents and the kids. The boys had a fabulous season and on the last game were asking how long before they could start playing again! Football SSG was the best fun ever! Excellent organisation, great timing, great venue - can't add anything apart from it's a fantastic comp and we thoroughly enjoy it. Our team and their parents were very happy with the whole season - again! We had one new member to the team and his parents were really impressed with easy it was - turn up and play - the others have become used to that! A good season and all keen to come back and play next year. A very good experience - year after year!! Absolutely unreal. All the girls loved it, the parents loved it. After years and years of summer and winter football and this is the absolute best football experience we have all had. Great standard, really good for the skills. Extremely well run and organised and fun. I got a great team of girls who I'd never played with before and we had a really good time. Loved the emphasis of maximum game play. A brilliant well organised competition for all ages, boys and girls. I coached a team and the boys called me today to continue playing as they are still hungry for football. This will be a great start for next season as they will be playing U/13s, whom I coach, this would not have happened had it not been for Football SSG, all the local football clubs will benefit from what you are doing, thank you so much see you next year. Huge THANK YOU to FootballSSG team, it has been a lot of fun and a breath of fresh air how smoothly it is all run. Seems to be the right balance, not over-controlled or over-regulated, just the key areas are regulated just enough. The properly trained refs, fairly administered rules, regulated start and end times on the day, management of the draw and tally, the uniforms all provided clarity and predictability for the kids. Within this environment then with great grounds, the slightly bigger fields, slightly longer games, goalies and right number of players on the field, the kids really seemed to flourish and get a lot more out of the game they love. And they had fun making some new friends along the way. I have nothing but praise to say about how well you have organised this competition for our kids. How informed we have always been and as you said how fun it has been. This has been our first year playing the Tuesday evening summer comp and on behalf of our team the Runaways I just wanted to say that it has undoubtedly been the best comp we've ever played (and believe me we've tried them all!) From the lighting to the grounds and best of all the professionalism of the refs, it has been an absolute pleasure to play each week. We will definitely be back next year. Thanks for such a great season. Joe loved it and looked forward to it each week. So well organised. You've done a brilliant job. Thanks again. This was a great competition and I had lots of fun. I will definitely do it again next year. That’s 35% growth, year on year! We’re the best, because we’re the most fun! Over ten seasons and more than 12,500 games scheduled, we have never missed a game due to wet weather. This is a fact that we are very proud of and a record that we hope to maintain ... forever! We know you just want to play, so we only use the best quality fields with the best irrigation and drainage systems, so you get to play. After all, that is what you want, isn’t it? When you register to play, you just want to be able to play! Have you liked us on Facebook yet ? 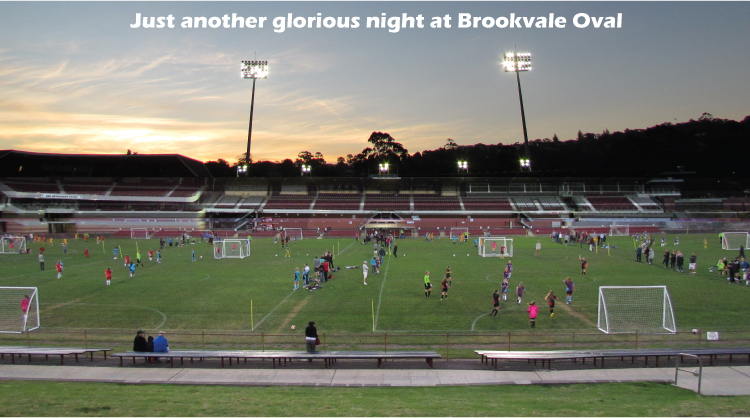 We’re the most liked small-sided football competition in Sydney ... and we want to be the most liked community football-related Facebook page in Sydney too. My favourite YouTube video ... have you got a FootballSSG video that you would like us to share?